This is two nights of data combined. 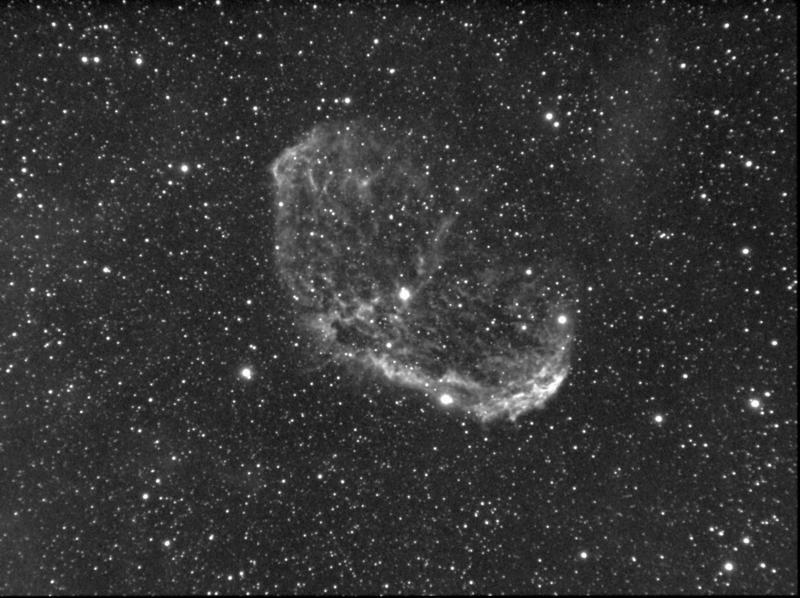 This is a hard object to image and I was pushing the Sky 90 pretty hard at 800mm. I look forward to trying this object once I get a bigger scope. This is my first success with the Mountain Instruments MI-250 mount. It has the Gemini GOTO system. Its real nice. I a problem with one of the servo motors but Larry at MI had me up an going with a new one ASAP. Can't wait to get a bigger OTA to do the mount justice.